Home > How can you measure the value of a webpage? > How is MozRank different from Majestic Trust Flow? How is MozRank different from Majestic Trust Flow? 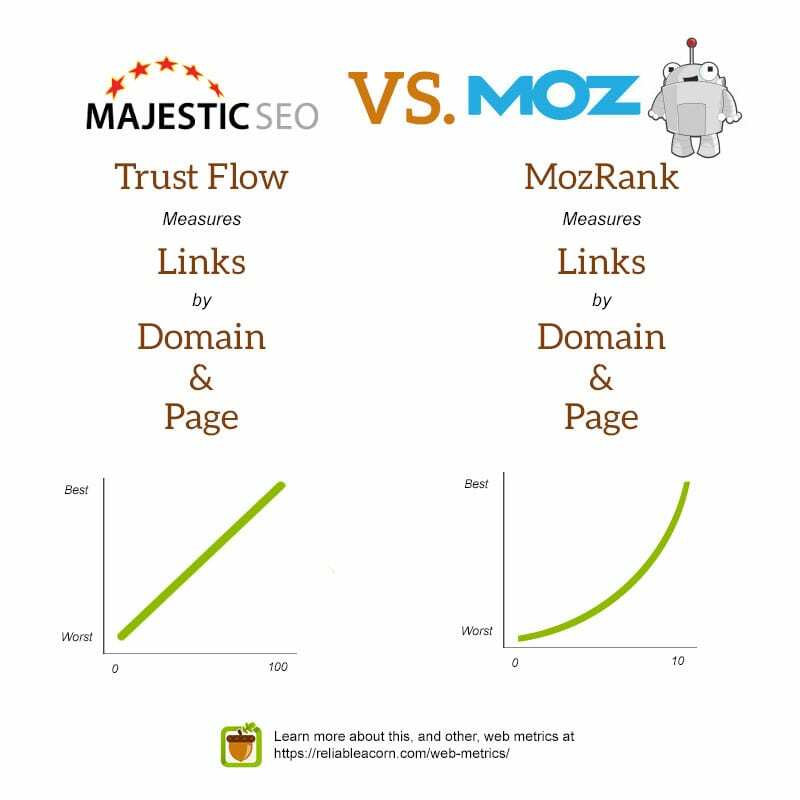 Both MozRank and Majestic Trust Flow measure a web page or website according to the links. Where MozRank measures the quantity and quality of those links, Trust Flow measures the distance a website (or page) is from highly trustworthy websites, in terms of links. A page with a higher Trust Flow is closer to trusted websites, than a page with a lower score. In other words, it takes less steps to get to a high Trust Flow site from a trusted site. In this way. Trust Flow is similar to MozTrust. From a mathematical perspective, MozRank measures on an exponential scale between 0 and 10. On the other hand, Trust Flow measures linearly between 0 and 100.